We have discussed the concept of BYOD in the past, but let’s take a moment to investigate it more in-depth by clarifying Bring Your Own Device (BYOD) Policies in the workforce. BYOD is a concept that has been occurring organically over the past five years (if not longer). The introduction of the iPhone into the market in 2007 was the point that we began to observe users removing the SIM card from their employer issued device and installing it in their iPhone. Policy needs to be made that reflects the reality of BYOD in the workplace yet still offers employees the availability and flexibility of working from external sources. Ovum conducted a study about two years ago in which they interviewed 4,000 companies and 40,000 individuals employed within those companies. One topic they investigated centred around their use of mobile technology. Of the 4,000 companies, 28% acknowledged that BYOD was either already occurring within their organisation or it was something that they needed to develop a process around. If it wasn’t already an issue, it was going to be in the near future. When Gardner interviewed the 40,000 individual employees working at those companies, they found that 76% were already either using a device of their own choice or were contemplating moving to a device of their own choice. There is a massive gap between awareness at the corporate end and the actual occurrence of users choosing to bring their own devices. The bottom line here is, unless your organisation is extremely locked down and secure (think governmental departments), or your organisation is supplying contracts to government departments, people will decide to bring their own device. The only occasions this is not the case is when companies are mandated to restrict staff to a particular device. We view BYOD as a positive occurrence. First and foremost, it can lead to a very real reduction in hardware costs for most organisation’s. Not very long ago, the average cost of a corporate mobile device was around $300 in Australia. The average cost today is in excess of $600 to $700. By being able to pass the ability to own and operate hardware to individuals, companies experience a very tangible cost reductions. The source of all content and corporate IP, the SIM card, however can remain under corporate control. One concept that we often discuss is the triple bottom line. BYOD gives your organisation another opportunity to instill a sense of comfort within employees around the choices that they make. Employees (Mobile workforce) can be given the choice around using a tablet at work, meaning they can then continue to use it on public transport to and from the office. Maybe it means that they can sit at their children’s sport practice and use their device to answer emails. This makes for very happy, satisfied employees, reduces their carbon footprint, and still allows the company to maintain proper security. We do, however, believe that it is important when a company considers enacting a BYOD policy that a device management platform (such as Macquarie Telecom’s Mobility Manager and Mobile Network Choice) is put into place along with a clear policy around how those devices should be used. To get more information about building a successful BYOD policy, contact me by email. 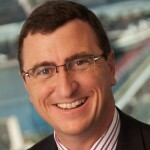 You can also visit Macquarie Telecom’s LinkedIn company profile. 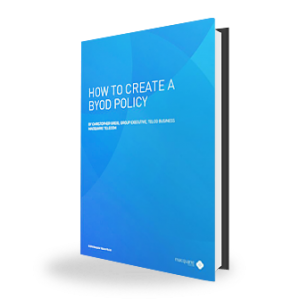 Download our ‘How To Create A BYOD Policy’ White Paper.